Home EU News EU Meltdown: Not refugees, not children, but aggressive male migrants – many who are well over the age of 18. * EU Meltdown: Not refugees, not children. Truly vulnerable children in the care system are being neglected in favour of aggressive male migrants – many who are well over the age of 18. One of the many consequences of surrendering the external borders to migrants without identification. “The first thing they ask for is a razor,” said one foster parent, “They’ve got these big beards.” A woman admitted she found it embarrassing having a grown man posing as a 17-year-old. But the authorities appeared uninterested. ‘Our concerns are just fobbed off,’ said another. ** Only 8% of unaccompanied minors who arrived in the UK in 2015 were, in fact, under 14. This is according to Eurostat, the statistical office of the European Union. Instead, over half were aged 16-17. Nor was there a balance of boys and girls. Some 91% were male. **** The immigration officer explained: ‘For years now we have had adult Pakistani males arriving in this country maintaining they are Afghan teenagers. They tell me they are 13 or 14, but they are clearly over 20, well developed and with good facial hair.’ In 2015 the second largest number of claimants came from Afghanistan. **** These are a few of the quotes taken from the article below written by Harriet Sergeant. Please read it in full, it is quite alarming. While shocking, this is not a surprise. We have lost all respect for the leaders of the EU and Western Europe who have dangerously exposed all in Europe with their open-border manifesto. They know exactly the game being played between the smugglers and NGOs, who instruct the migrants to lie about their age and backgrounds. Yet, they tolerate and even encourage this type of behavior. We believe the actions of Angela Merkel and her Ministers in Brussels have been negligent, abnormal and disgraceful. A legitimate authority does not expose Europeans to these types of risks. There can be no tolerance with border security and true unaccompanied minors should be kept in special UN camps outside of Europe to deal with their special needs. It does everyone great harm by allowing them to roam Europe. 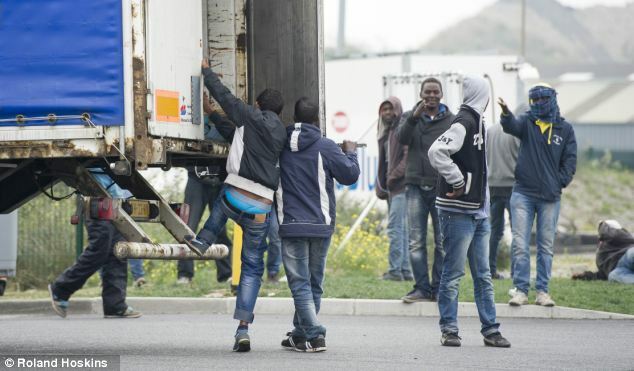 Often, these young adult males are the most violent migrants and they have been involved in rapes and acts of terror. Sweden naively took in many so-called “minors” and has been hit especially hard. The No-Go-Zones are expanding. Many cannot be jailed or deported for their crimes due to their stated “underage status”. Who does Emmanuel Macron think is erecting road “barricades” in Calais? 10-year-old girls? This is one of the many examples of why we do not believe Brussels, Germany or France should be making decisions for the V4 or Central Europe. Their judgement has been impaired by their multicult theology. As a result, they have failed Europe. The blowback from political correctness and mass Muslim migration will only intensify in the future. For many in Western Europe, it may already be too late to reverse the damage even if their leaders wanted to, which is doubtful. It’s time for the V4-CEE nations to move on from this EU leviathan to form their own regional “Core”. Europe is much more than Angela Merkel and her hollow EU Core. We simply do not believe the leaders of Brussels or Western Europe will change. They have already surrendered.